What's the cheapest rental available in the Upper West Side, right now? Upper West Side is extremely walkable, is very bikeable and is a haven for transit riders, according to Walk Score's rating system. So what does the low-end pricing on a rental in the Upper West Side look like these days -- and what might you get for the price? We took a look at local listings for studios and one-bedroom apartments in the Upper West Side via rental site Zumper to find out what price-conscious apartment seekers can expect to find in this New York City neighborhood. This one-bedroom, one-bathroom apartment, situated at 12 W. 103rd St., #53, is listed for $1,800/month. In the unit, look for hardwood flooring and generous closet space. Cats and dogs are not welcome. Be prepared for a broker's fee equal to one month's rent. Here's a studio apartment at 72 W. 87th St., which is also going for $1,800/month. In the unit, anticipate hardwood flooring, a dishwasher, granite countertops and generous closet space. Pet owners, inquire elsewhere: this spot doesn't allow cats or dogs. The listing specifies a broker's fee equal to one month's rent. 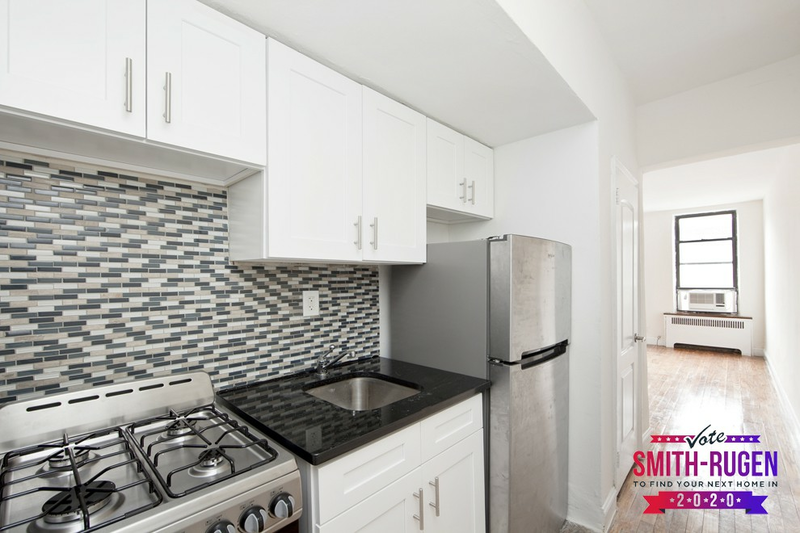 This studio apartment, situated at 118 W. 83rd St., #4B, is listed for $1,875/month. In the unit, you'll find hardwood flooring, a walk-in closet, high ceilings and overhead storage. For those with furry friends in tow, know that cats and dogs are welcome on this property. Look out for a broker's fee equal to one month's rent. And here's a studio apartment at 214 W. 102nd St., #5D, which is going for $1,930/month. In the unit, expect to find hardwood flooring and natural light. For those with furry friends in tow, know that cats and dogs are allowed on this property. Future tenants needn't worry about a leasing fee.